This article was originally published on January 21, 2011, in the Shenzhen Daily. With the completion of Metro Line 3 from Windows of the World to Chiwan, there's no excuse not to visit the rapidly-changing Shekou area. You no longer need to spend precious time on a bus or precious money on a taxi. 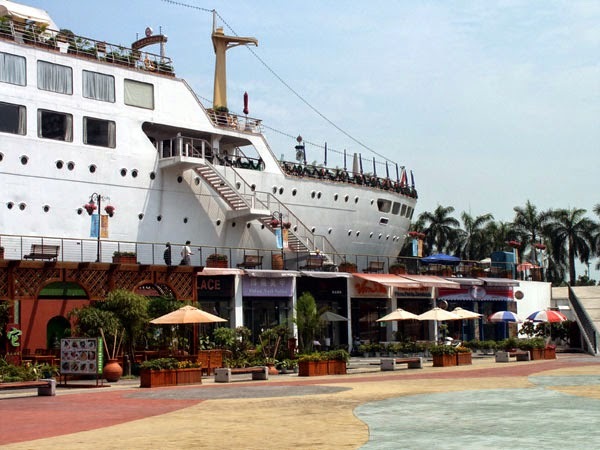 Shoppers, diners, and revelers can now travel from the city center to Shekou Sea World without ever leaving the underground. What's to see around Sea World Plaza, you ask? First, there's a world of dining and live music, by one count over 40 bars and restaurants. Mexican, Italian, German, Indian, Thai, burgers and fries, gelato, donuts--all can be had fresh and hot (well, not the gelato). You can dine alfresco or in a variety of environments, from formal to casual, plastic chairs to plush sofas. Shopping in the area is aimed at international tastes: antique furniture and up-to-date clothing, hard-to-find international foods and plenty of DVDs. Lots of kitschy kiosks, too, and even a sketch artist. 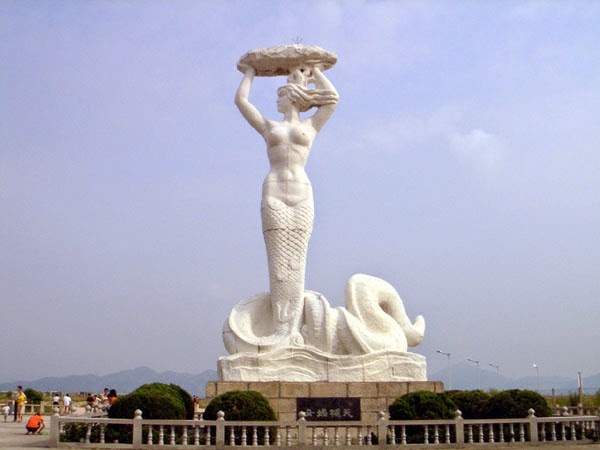 And this is Sea World: you can stroll on the sand and view the giant statue of Nuwa, the half-serpent woman who in some myths created humans, and in others, repaired the world. 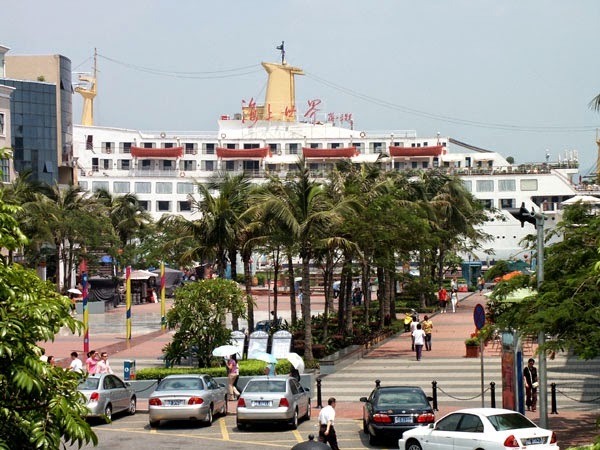 But the pearl of this place is the Ming Hua, a nearly 50-year-old former French luxury liner that has been "permanently berthed" at Sea World since 1983. 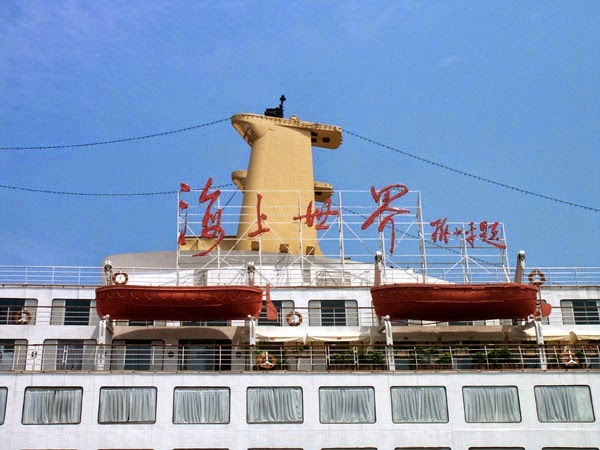 A year later, the PRC's paramount leader Deng Xiaoping stayed on board, and his calligraphy of the words "Haishang Shijie"--Sea World--still graces the ship's stacks. Newcomer or old hand: take a look at Sea World. There's always something new to see.